Port of Loviisa Ltd is co-owned by Port of Helsinki Ltd (60%) and the City of Loviisa (40%). The port started operating as a limited company on 1 September 2014. The port remained a fully-owned subsidiary of the City of Loviisa until Port of Helsinki Ltd acquired majority ownership of 60% in the company as of the start of 2017. As a result of the change in ownership, Loviisa received more resources for developing its operations, while the Port of Helsinki gained the opportunity to expand its operations beyond passenger and unitized cargo services. The arrangement strengthens the Port of Loviisa's position and allows it to meet the diverse transportation needs of its customers even better than before. Port of Loviisa Ltd aims to serve as an example of comprehensively responsible port operations. Environmental issues are particularly important to the Port of Loviisa, and not only for the fact that there is a good amount of both permanent and holiday housing located near the port. In addition to this, many areas near the port are also used for recreation. The Port conducts its operations and reporting in accordance with its valid environmental permit. Port of Loviisa is also one of the financial partners of Kotka Maritime Research Centre's co-funded ‘Low-Carbon Port Operations’ project. The project involves examining the optimisation of the anti-freeze system used at the Port of Loviisa and energy-saving opportunities related to the port building, among other things. In addition to this, the City of Loviisa, as a co-owner of the port company, has also started to spur its subsidiary towards further developing their environmental friendliness, providing the Port with the objective of improving its energy-efficiency and reducing its carbon footprint. The environmental impacts of the Port of Loviisa consist primarily of emissions into the air, which are produced as a result of the use of fuel on ships, working machinery, rubber-wheeled and rail traffic, the oil heating of the port building and indirectly from the production of the electricity used for lighting at the port, for example. Other emissions, such as noise, dust and diffused lighting, have been determined to be relatively minor due to appropriate working methods and the automated lighting system. Occupational safety issues have been highlighted as one of the most important themes in both the company and in port operations. The development of the port's occupational safety has followed a positive trend, and the personnel of the port company have not been involved in any accidents, near misses or dangerous situations during the port's operation as a limited company. 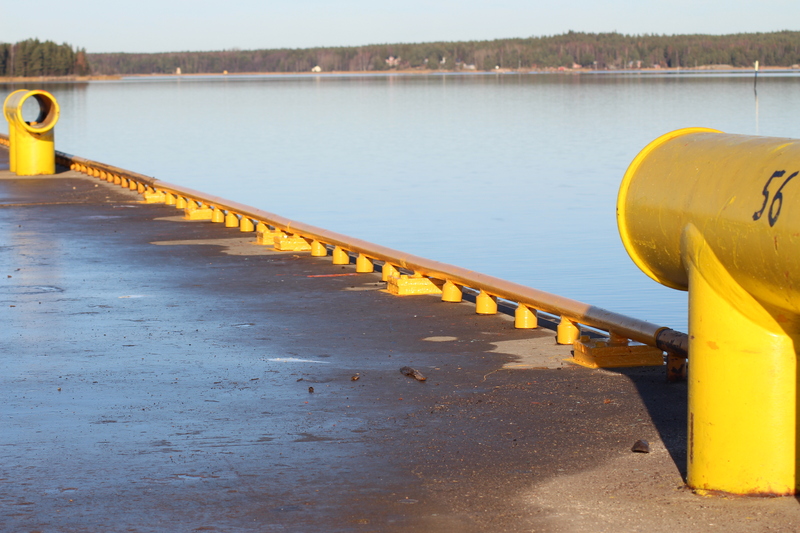 Furthermore, the Port of Loviisa works actively with the companies operating in the port area to develop the general occupational safety of the port. The port area is fenced and access to the area is controlled. 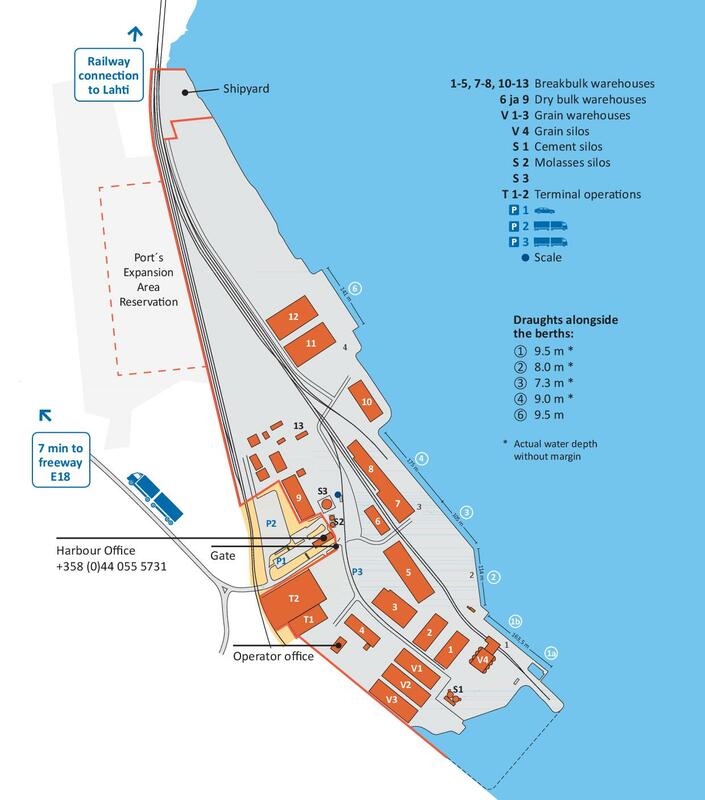 The port's ISPS security plan has been audited and approved by the Finnish Transport Safety Agency (Trafi). The port has a safety permit for the rail network under its administration, which has been audited and approved by the Finnish Transport Safety Agency (Trafi). The port's emergency plan has been prepared in collaboration with the Eastern-Uusimaa Emergency Services Department.